The marathon is one of the most challenging events in endurance athletics. Success requires well-developed aerobic capabilities as well as stable connective tissue and a psychological resolve not seen in other events. Executing a proper training program is essential to maximizing performance on marathon day. This maxim rings particularly true for first-timers who are likely to make common errors in the critical final 12 weeks of build-up. 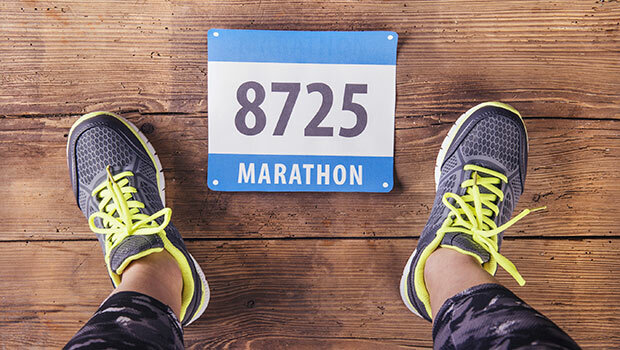 This plan lays out an intelligent approach to the final few months of marathon training—both for beginners and for those returning to the event after an extended hiatus. The final 12 weeks of a marathon schedule—considered the “specificity” portion of the training program— is where the realization of hard work is found. The background work, however, is what allows a marathoner to train intently through that specificity with reduced risk of injury. As a general rule, I require any first-time marathoner to complete a minimum of six weeks running of no less than 18 to 24 miles each week prior to the 12-week specificity period.